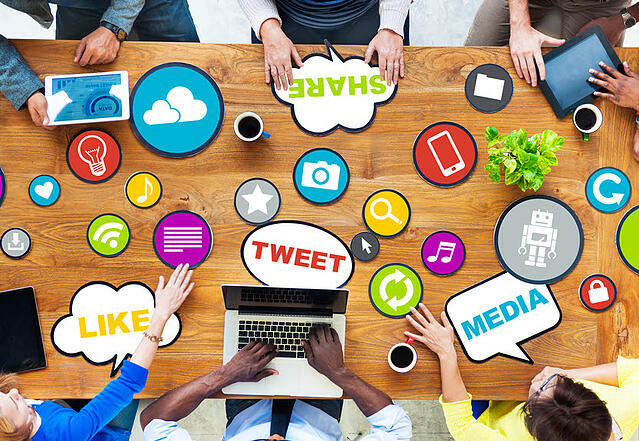 Social media shouldn’t be the lone way your nonprofit is engaging its target audience. Your social media goals should tie in with other digital marketing campaigns, somehow tied into your organization’s email marketing, website and blog. You’re a nonprofit, and as such, you already have a mission. Your social media goals should also be clearly stated. Most nonprofit social media goals consist of engaging their community, retaining and acquiring donors, generating brand awareness, and building leadership. Now it's time to choose the right networks. There are a variety of different social media platforms out there, but you don't need to use each one. You know your demographics best, so choose the network that will target your audience. If your mission is geared towards college-aged clientele, use Twitter or Snap Chat. If your client base is those in their thirties and forties, you may find Facebook to be the social network of choice. Once your goals have been determined, it’s time to decide how you’ll measure success. This could mean measuring the success based on responses to your posts, the engagement in social discussions, participation in online campaigns or volume of posts that use a certain hashtag. For more information on how your nonprofit can start a successful social media campaign, contact us.